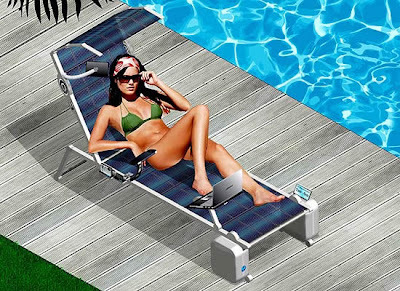 Beach or pool-side lounging is about to become a lot more high-tech with this concept from the folks over at retailer, PC World. The tech chair will appeal to geeks and non-geeks alike with its ability to power gadgets, shade your face automatically and entertain with speakers and WiFi access. 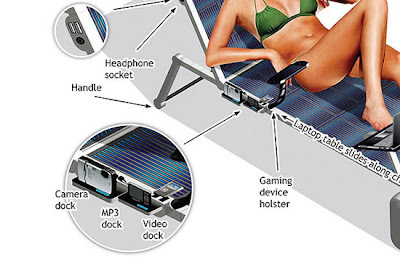 It has a dock for gaming consoles and another for laptops which slides along the length of the chair for easy access. An MP3 dock allows you to play music either through the built-in speakers or through the headphone port so as not to annoy your fellow loungers. 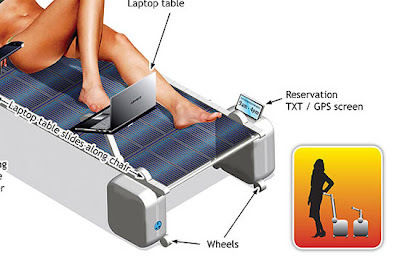 The fabric of the chair incorporates solar panels which power the whole operation and reservations for the chair can be made via text message. 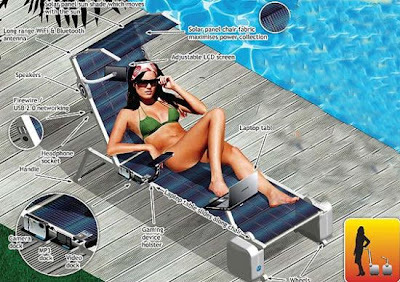 My favourite feature has to be the automatic sunshade which follows the sun to keep your face shielded. I would imagine that aspect might not appeal to people trying to achieve an even, all-over tan, but narcissistic cares are shallow, right?